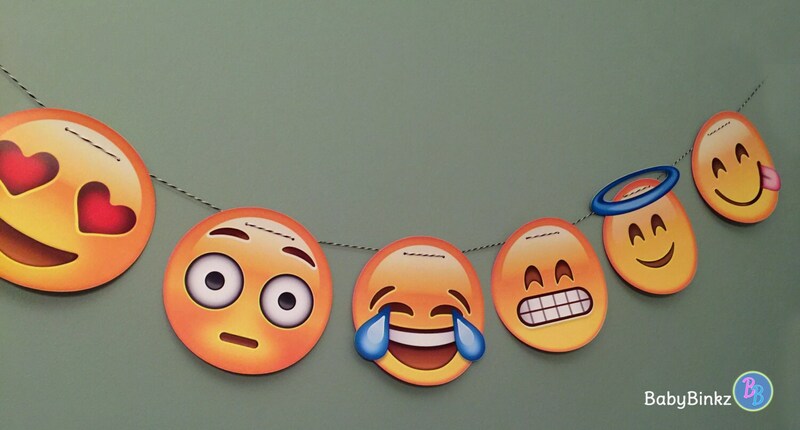 A BabyBinkz Party Garland featuring Emojis is the perfect addition to any party! Includes 8 emojis printed on 110 lb card stock that measure 7" in diameter and pre-strung on baker's twine and ready to hang! Want to add more emojis or looking for a different assortment? Contact us for a custom listing! Be sure to check out our coordinating Emoji Cupcake Toppers & Photo Props!